It's time for another classic and this time it's the gothic ghost story by Henry James, The Turn of the Screw. Referred to here and there, I've always wanted to read it and find out if it's still scary by today's measures. Henry James wrote too many novels and short stories to mention, most notably The Portrait of a Lady in 1881. Published in 1898, The Turn of the Screw has an ambiguous ending, but of course in my arrogance I believed I would finish the last page with a firm idea of what had happened and little room for any doubt. You see, I dislike ambiguous endings and I always have an opinion, so if a book requires the reader to decide the ending then I make a decision and get on with it. If the author doesn't tell me the ending of the book then I decide for myself, but in The Turn of the Screw, it wasn't as easy as all that. A governess is hired to look after a young boy Miles and his younger sister Flora in a large gothic house (pictured above) after the death of their parents. The children are charming, well behaved and a pleasure to teach and look after. It comes as a shock then when the governess is notified that Miles has been expelled from boarding school, although the letter is vague regarding the reason for his expulsion. This was the most intriguing part of the novella for me and a great cause for discussion amongst academics and students alike. While this has been happening the governess has been seeing a female and male presence on the estate and begins to suspect they are ghosts and that the children are aware of their presence but won't admit it. With the help of the housekeeper, the female ghost is identified as Miss Jessel - the previous governess - and the male ghost as Quint - also a previous employee - both who mysteriously died. The governess tries to protect the children from their evil presence while Miles seems to know more than he is letting on. Late in the story, Miles says he was expelled from school for telling something to those he liked, who then told those they liked. Some argue this is evidence Miles was expelled for homosexual behaviour but discovering this hypothesis after finishing the book was such a shock that I just find it difficult to believe. Miles could have told his classmates that he killed Miss Jessel and Quint; the classmates then going on to tell their friends and so on, resulting in his expulsion. Another possibility is that Miles could have told his friends that he was seeing ghosts; his friends could have spread the gossip, laughed and teased him, leading to his expulsion for being of unsound mind. Miles was incredibly manipulative and his expulsion could have been related to his devious and manipulative behaviour. 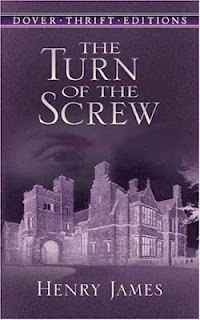 So, was The Turn of the Screw scary? Well, it was certainly creepy, I'll give it that much! Miles was a manipulative character and a believable one. I enjoyed the gothic evocation of place, and the conversations Miles had with the governess made me squirm. 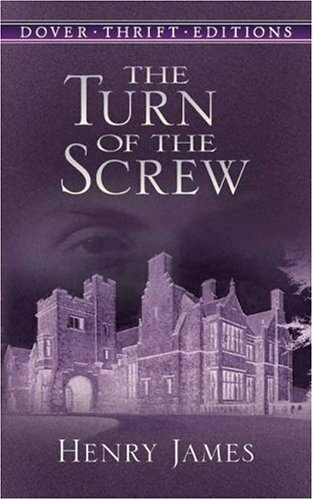 Immediately after finishing the novella (it's a short read) I went online to seek out discussions related to The Turn of the Screw and the ending in particular. I'm still not satisfied and I just wish the author had organised for the answers to be printed upside down at the back of the book.